The proposed casino would be located on the site of the Brockton Fairgrounds. The City of Brockton would receive a guaranteed $10 million a year from a casino if a plan to build a $650 million facility on the Brockton Fairgrounds becomes a reality, according to a host agreement signed on Thursday. The six-page agreement, negotiated by Mayor Bill Carpenter, would require the casino’s developer to provide the city $3 million in upfront payments, and then $10 million a year, or 2.5 percent of gross gambling revenue, whichever is larger, if a casino is built. Host agreements, required under the 2011 state casino gambling law, are intended to compensate municipalities where casinos are located for their impacts on quality of life, especially increased traffic. Mass Gaming & Entertainment unveiled its proposal to build in Brockton at a Feb. 5 meeting of the state Gaming Commission. Mass Gaming & Entertainment is a partnership of George Carney, the longtime owner of Raynham Park, a former dog-racing track that now simulcasts horse racing with video feeds from other tracks, and Rush Street Gaming, which operates four casinos in the Midwest and Canada. 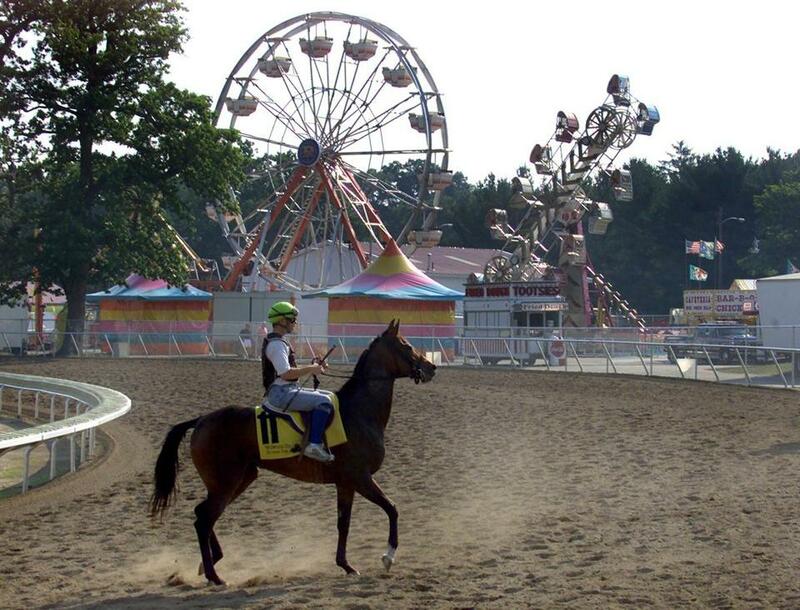 The 60-acre fairgrounds, owned by Carney, is located on Route 123, about a mile from Route 24. Horse racing was a summer staple at the fairgrounds between 1956 and 1972, but has been closed since then, except in 2001. Carney has also proposed reviving horse racing at the track, in the event Suffolk Downs closes to thoroughbred racing. Only one casino license remains to be to awarded by the state Gaming Commission, which has already approved casinos to be operated by MGM Resorts in Springfield and by Wynn Resorts in Everett. The final license is reserved for Southeastern Massachusetts. Besides Mass Gaming & Entertainment, two other firms are in competition for the Southeastern license: one proposing a casino in New Bedford and one planning a facility for Somerset. Mass Gaming & Entertainment, however, is ahead of the other two developers, at least in terms of completeness of their applications. Its initial application, along with a $500,000 fee, has been accepted by the Gaming Commission. The other two casino firms asked for and received an extension until March 16 to complete applications. The Brockton City Council is scheduled to discuss the casino proposal next month. The state casino law empowers mayors to negotiate host city agreements, like the one reached this week in Brockton. But the next step requires council approval: scheduling a local referendum. Carpenter said that, with council approval, the referendum would be scheduled for May 12. He said he is confident city voters will approve a casino, if it winds up on the ballot. In November, Brockton voted overwhelmingly against a statewide referendum that, if passed, would have repealed the state casino law. Almost 75 percent of voters cast ballots in favor of keeping casinos. A casino in Brockton would create up to 1,500 new permanent jobs, Carpenter said. “For a city like Brockton, a hard-working, blue-collar city, there are a lot of families that could use a better job, one with good wages and benefits,” Carpenter said.